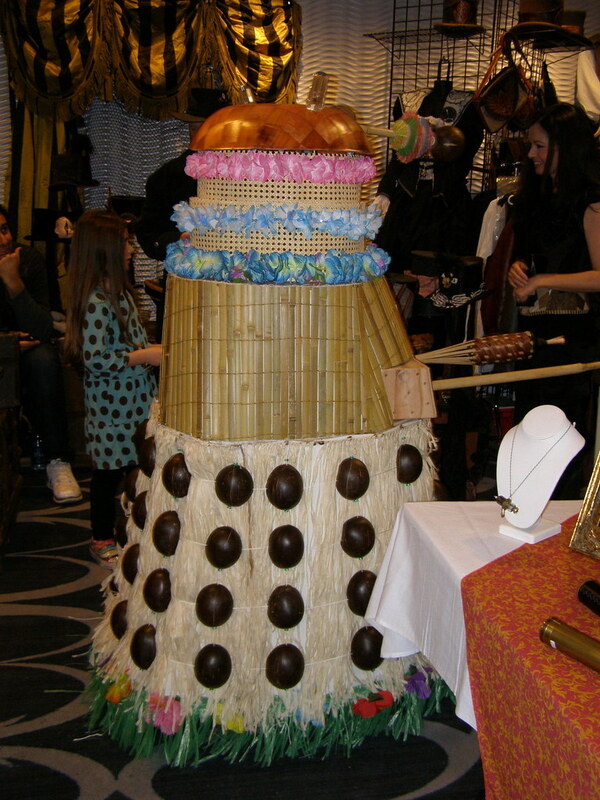 Look what Nails and I spotted at the Nova Albion steampunk con on Saturday! 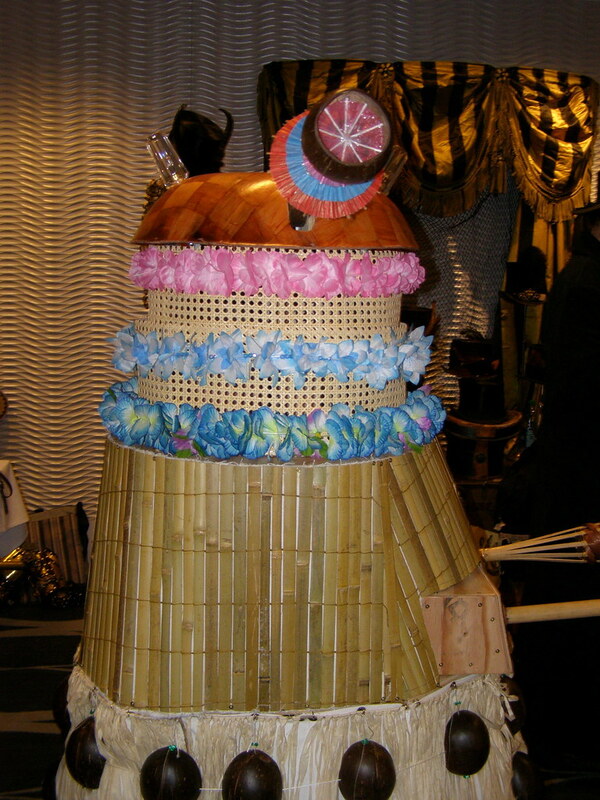 The dalek must have had a few Pina Colada and Mai Tais before making its way to the vendor exhibition because I didn't see any exterminating. I'm the creator of TDK (The Tiki Dalek) and am putting together a photoessay about his trip to Nova Albion for the online costume 'zine "Yipe" (www.yipezine.com). May I use these photos? If so, how would you like them credited?